DAVID ALLYN from NetWorks Rhode Island on Vimeo. David Allyn, photo by Scott Lapham. Performance art was the catalyst for David Allyn’s career as a ceramic artist. His gigs as “Uncle Thirsty” led him to make ceramic cups, which he says led to a “more grounded” approach to his craft. 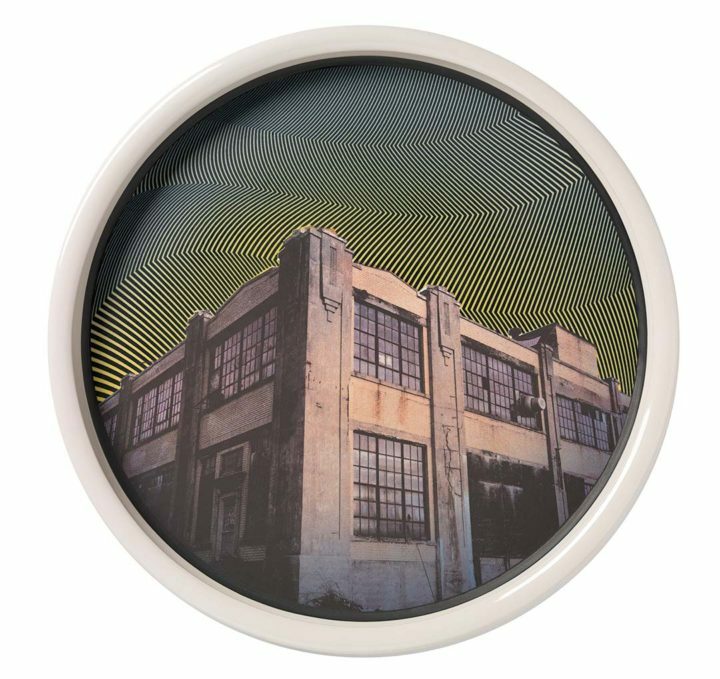 Using photo decals and silkscreen printing on porcelain, Allyn creates one-of-a-kind handmade porcelain objects, filled with color and imagery. His work often reflects popular culture, and a recent series has focused on Providence buildings. 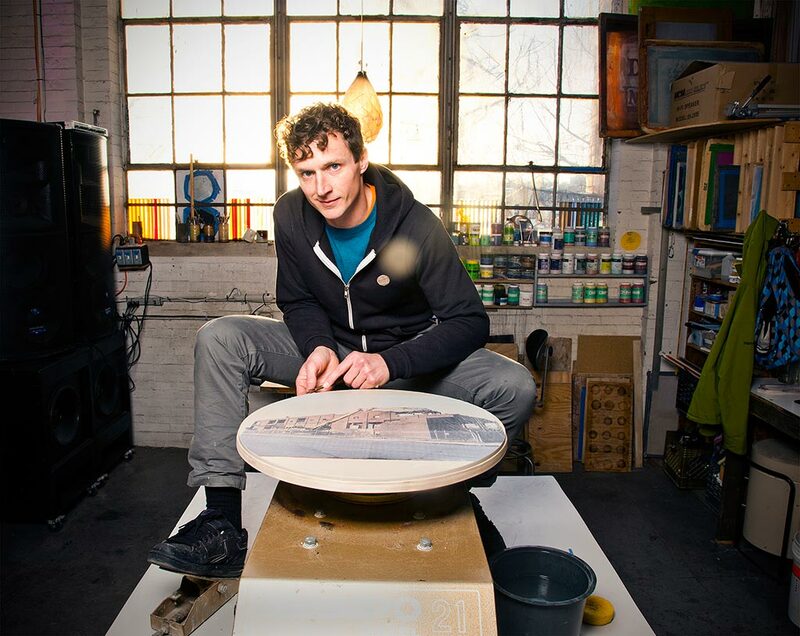 Allyn is the founder of the Steel Yard’s ceramics department, where he has taught classes for over a decade. Originally from the Midwest, Allyn graduated from the University of Wisconsin, Oshkosh, before earning an MFA in ceramics from the Rhode Island School of Design. He has a full-time studio practice at the Nicholson File Building in Providence, and curates exhibits in his gallery at Monnohasset Mill, Thirsty’s Gallery #104. Porcelain with screen print, d. 18 13/16 in.